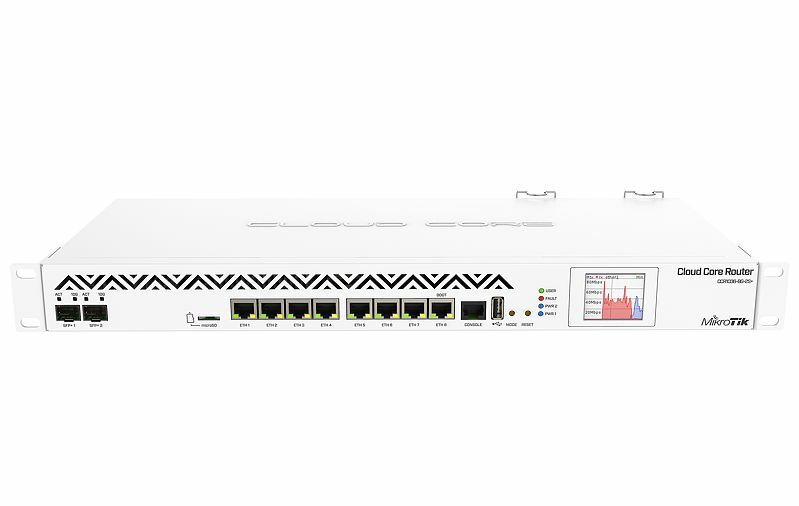 Home :: Mikrotik Rack Mount Routers :: Mikrotik RouterBoard CCR1036-8G-2S+EM Extreme Performance Cloud Core Router with 8-10/100/1000 ethernet ports, 2 SFP+ ports and RouterOS Level 6 license - New! CCR1036-8G-2S+EM is an industrial grade router with cutting edge 36 core CPU! 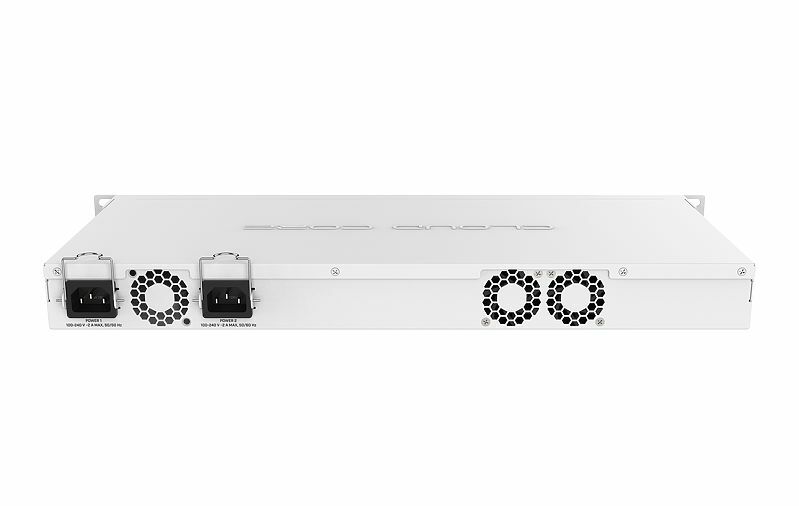 Unprecedented power and unbeatable performance - this is our new flagship device, the Cloud Core Router (CCR1036). If you need many millions of packets per second - Cloud Core Router with 36 cores is your best choice. One pair of Mikrotik OEM 40x28 DC 12V 0.11A ball bearing replacement fans for Mikrotik CCR1016 and CCR1036 routers. One pair of Mikrotik OEM 40x20 DC 12V 0.16A ball bearing replacement fans for Mikrotik RB1100AHx2 routers.